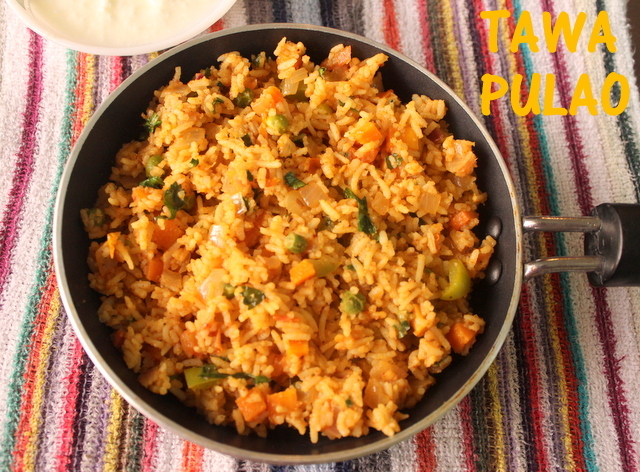 Tawa pulao is a popular Mumbai street food made of rice, vegetables and cooked with pav bhaji masala and other Indian spices. It is generally prepared on a huge tawa by the street vendors, which they also use for making pav bhaji, masala pav and other snacks. 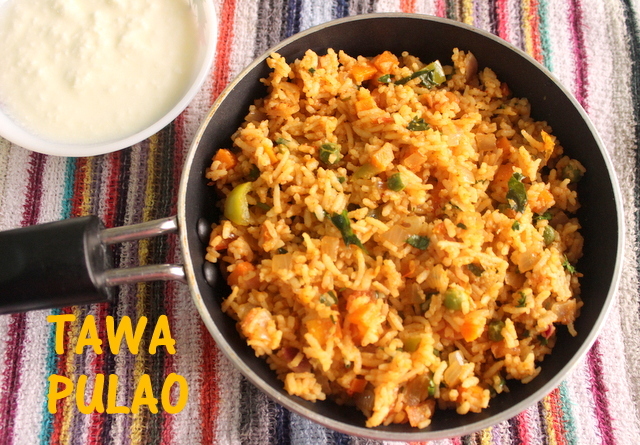 But tawa pulao can also be made in a kadai or shallow frying pan. 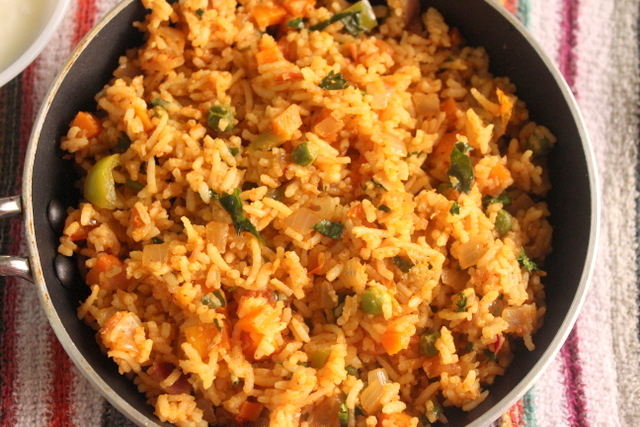 The main ingredient for making tawa pulao is the pav bhaji masala, which is easily available in the market or grocery stores. 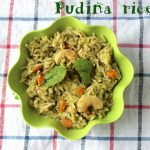 Tawa pulao is quick and easy to make and can be made with the leftover rice too. 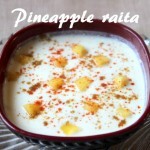 It goes well with papads, onion raita or pickles or can be served on its own. Wash and soak the rice for 30 minutes. 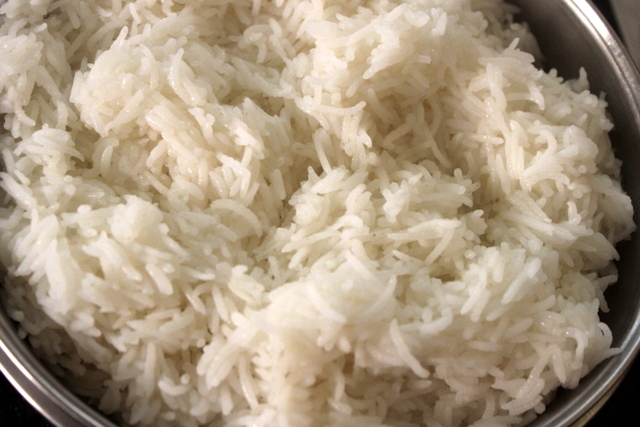 Drain the rice and add 4 cups of water to it. 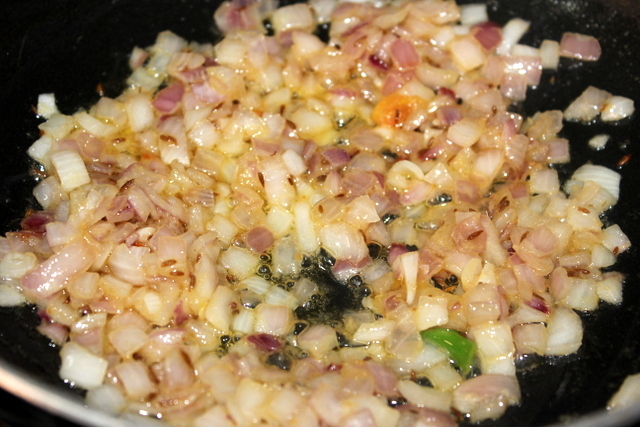 Add few drops of oil and salt. 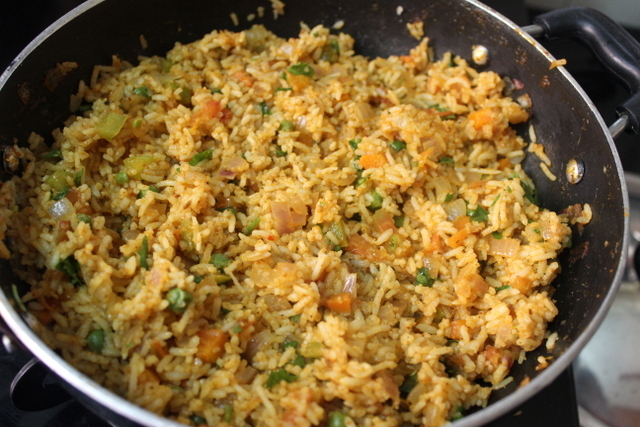 Mix well and cook the rice in a vessel or pan. Cover the pan with a lid and cook on a medium flame. Once the froth starts coming out, lower the flame and cook till the rice is fully cooked. Switch off the flame. 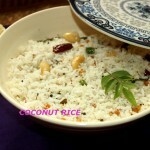 With the help of a strainer, drain the water from the cooked rice (if there is any water). 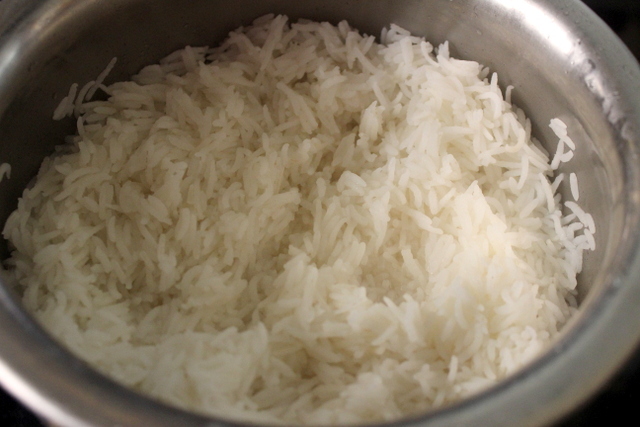 Gently fluff the rice with a fork and keep it aside. Peel the carrot. 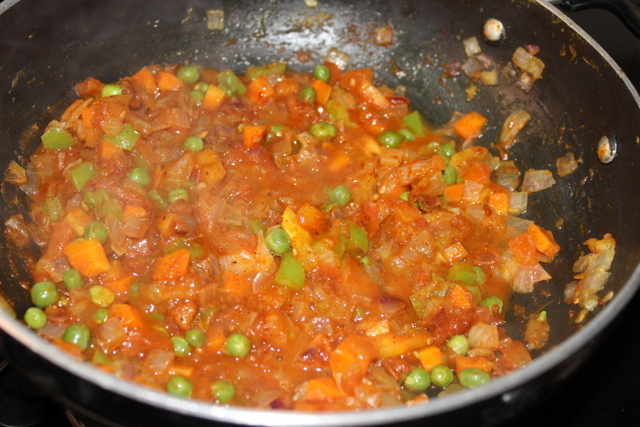 Boil the carrot and green peas in a pan or steamer. 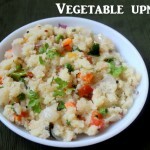 You can also boil them in a pressure cooker for upto 2-3 whistles. Once boiled chop the carrot into small pieces. 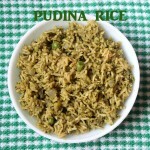 Keep the boiled chopped carrot and boiled green peas ready. Heat butter in a shallow pan or tawa. Once hot, add cumin seeds and stir fry till the seeds turn light brown in colour. 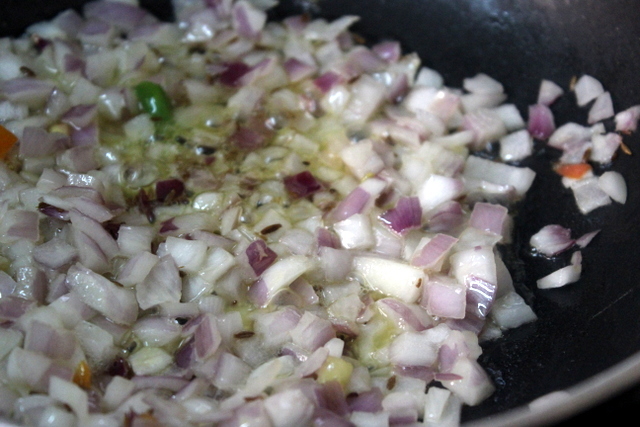 Add chopped onions and saute till they become translucent. Add ginger-garlic paste and stir fry till the raw smell goes away. 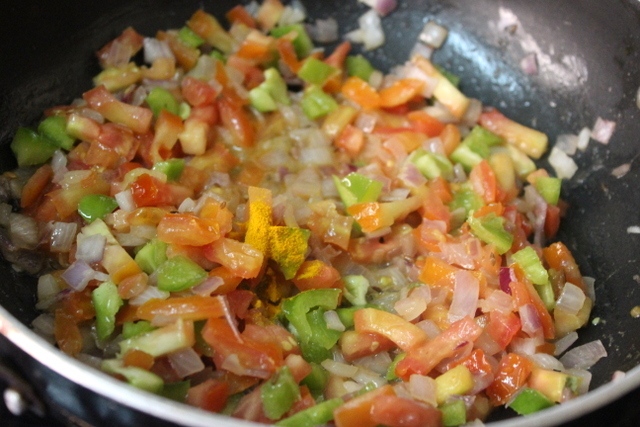 Add finely chopped tomatoes, capsicum and turmeric powder and mix well. Cook till they become little soft. 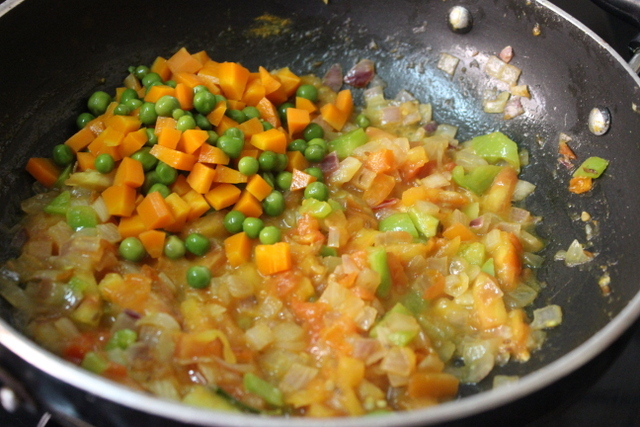 Add boiled carrot and green peas and mix well. 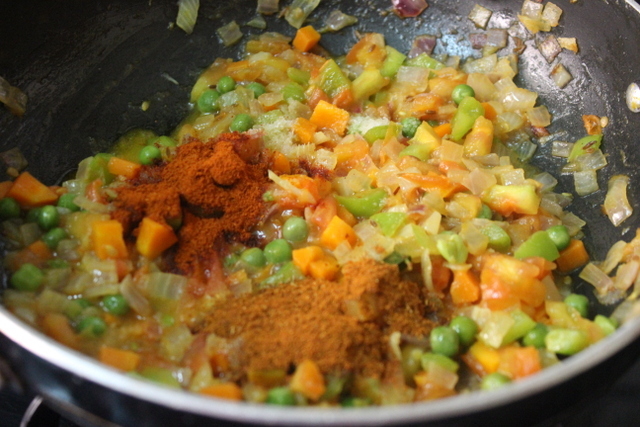 Now add red chilli powder, salt and pav bhaji masala and mix well. Cook on a low flame for 2 minutes. 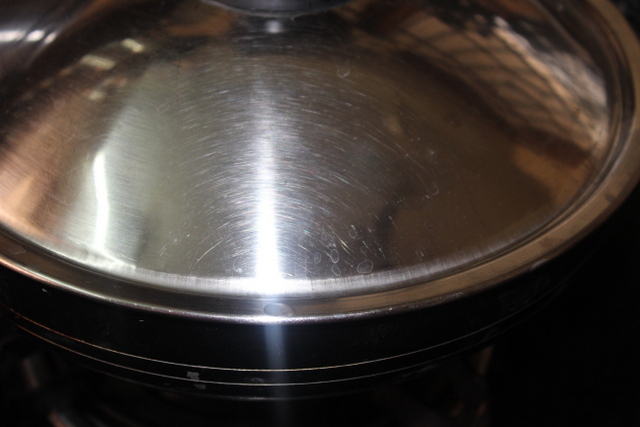 Add 2 tablespoons of water and cover the pan with a lid and cook for upto 2 minutes. 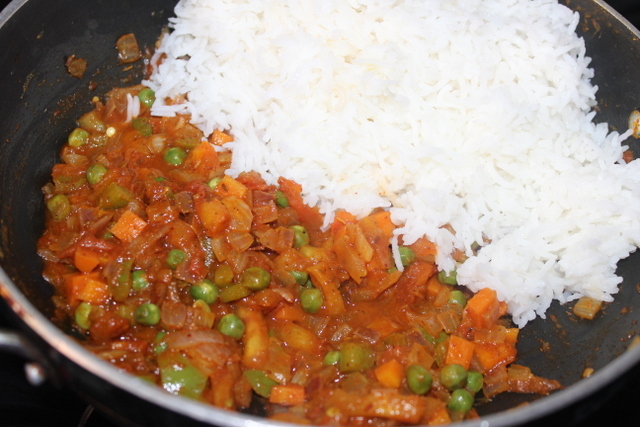 Add the cooked basmati rice and mix well. Cook on a medium flame for a minute or two. 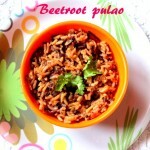 Add chopped coriander leaves and lemon juice and mix. Switch off the flame. 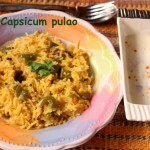 Serve tawa pulao hot with raita, papads or pickles or plain curd. 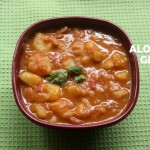 You can also add boiled potatoes along with the other vegetables. 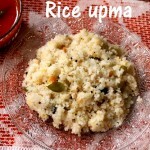 Ensure that the rice is not too mushy. 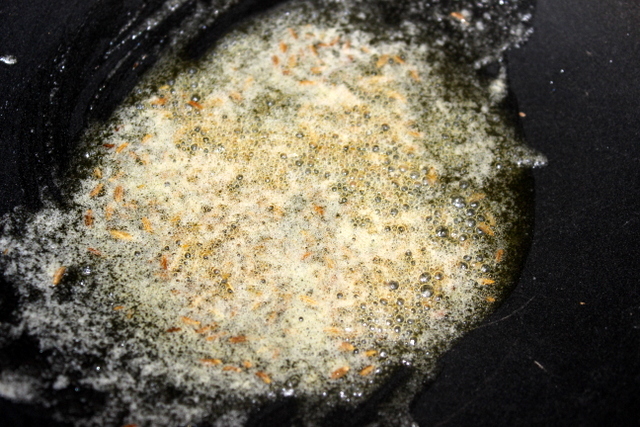 Oil added to rice while cooking helps to separate the grains from each other.